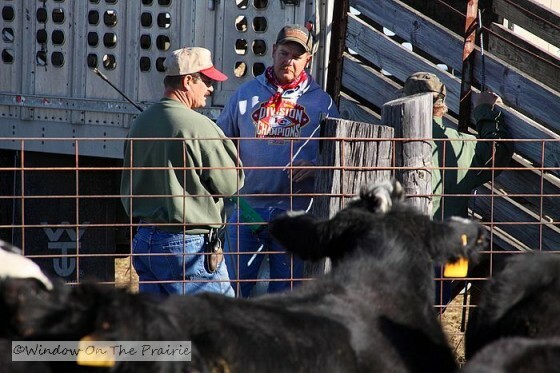 Yesterday, I showed how we rounded up the cattle on Saturday evening ( see post here), and so today, you get to see how we sorted and loaded them onto semi trucks early Sunday morning. We were up before sunrise and headed back down to the pasture. Gerald, Harland’s brother, came along to help. It’s about an hour-long drive down to the summer pasture which gives us plenty of time to chat about this and that. Gerald and Harland usually share memories of past round-ups: some funny, some interesting, some scary. 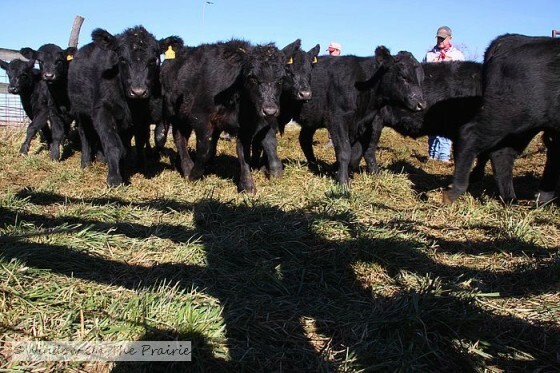 They mostly talk about working cattle with their dad. Their dad passed away at the pasture in 1993, so coming here reminds them of him. We finally arrived at the pasture. 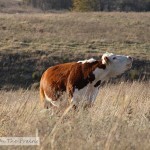 The first worry of the day is always: “Are the cattle still in the corral? Did they break down the fence and escape? Were they stolen?” Luckily they still were in the corral. Last year, one of them made a bid for freedom and jumped out. 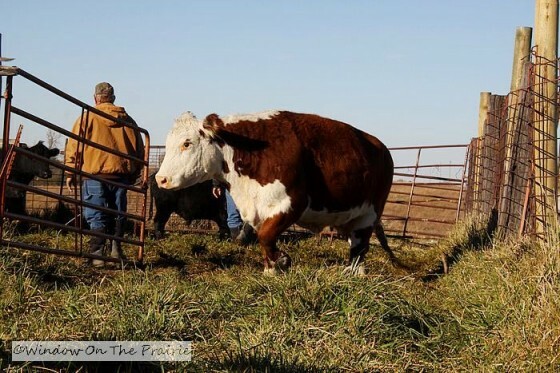 Once out though, he just stood outside the fence unwilling to leave his buddies behind, so we put him back inside the corral. 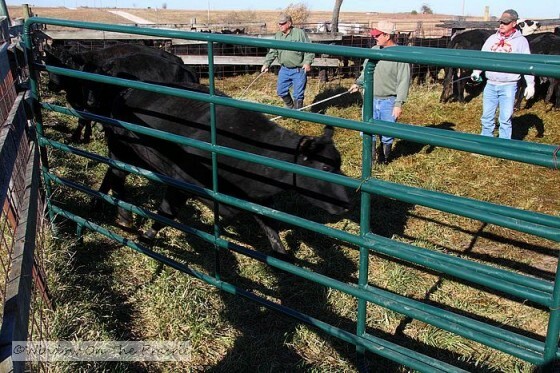 Before the cattle can be loaded onto the trucks, the calves need to be sorted from the cows and bulls. 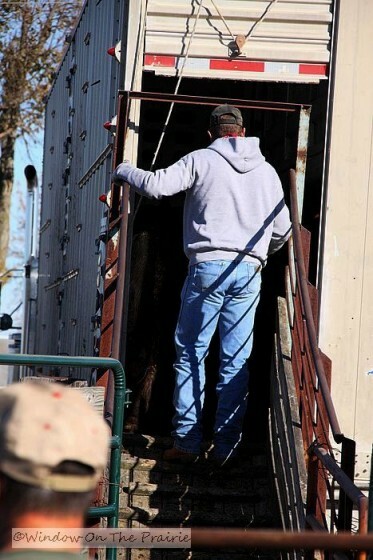 The calves will later be loaded into a separate compartment on the truck because they are less likely to be injured if they travel with other animals their own size. Sorting is pretty simple. 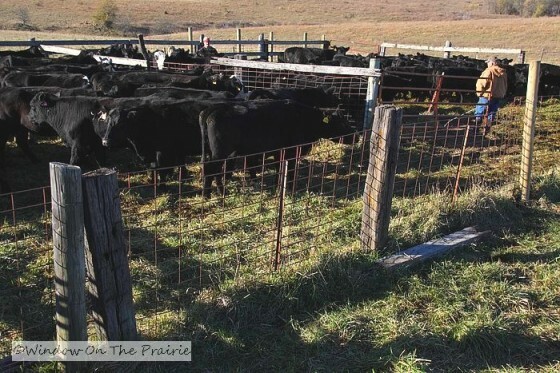 There are 2 pens within the corral for sorting. 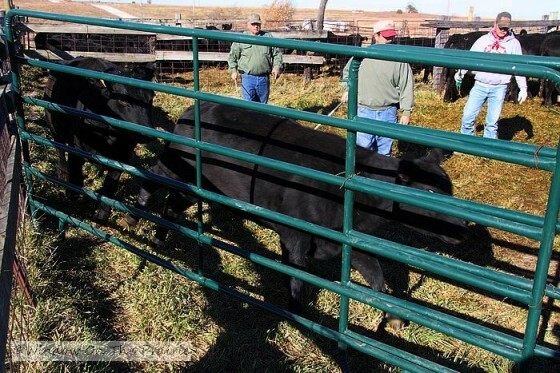 First, all the cattle were moved into one pen. 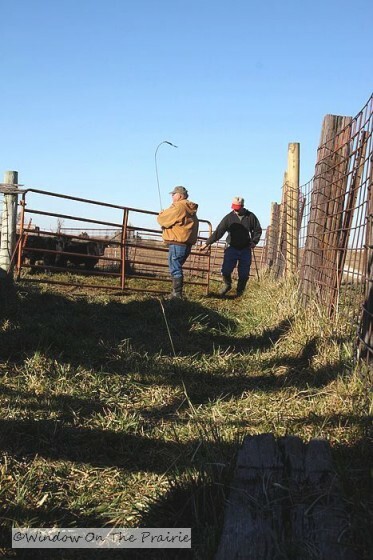 Then, Harland and Gerald went into the pen and sorted the cows and bulls one at a time out into the next pen, leaving the calves by themselves. 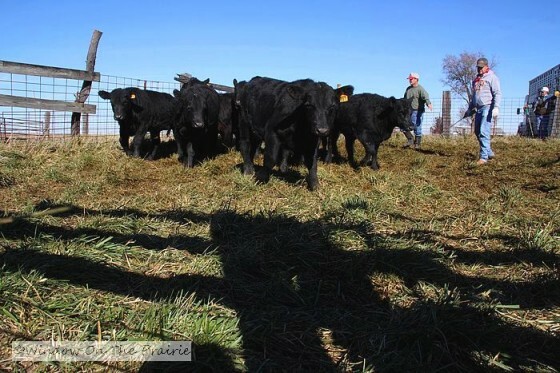 In this picture, most of the cows have been sorted off into the near pen, while the remaining cows are sorted from the calves in the far pen. 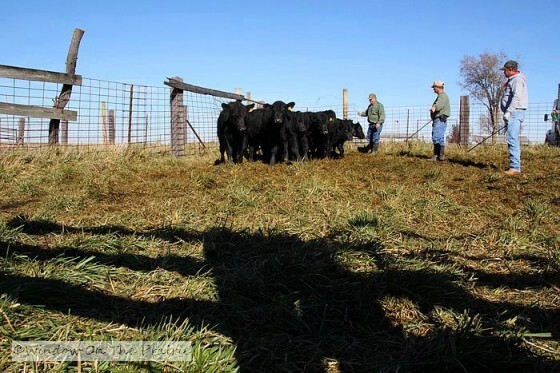 who then chases them into the next pen, while keeping the calves from tagging along. When the sorting was done, the gate was closed. About a half hour later, the first truck arrived. 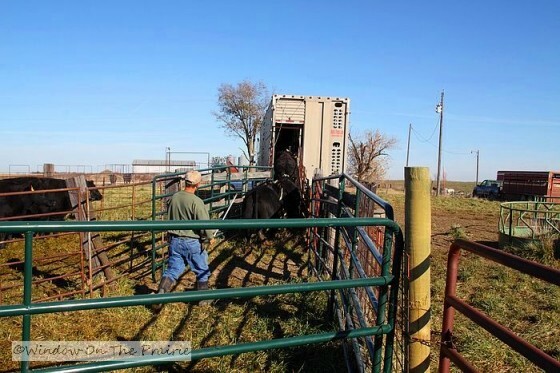 It backed into place so that the trailer door was lined up with our cattle chute. The driver got out of the truck to help with the loading, but first the guys had a quick chat. They discussed last week’s episode of Desperate Housewives, the latest style of jeans for fall, and whether it’s better to use a pressure cooker or hot water bath when canning tomatoes. Then it was time for loading. There are different compartments within the trailer and 2 levels -upper and lower. 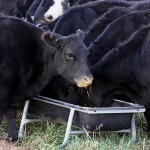 The cattle are loaded a few at a time into each compartment. 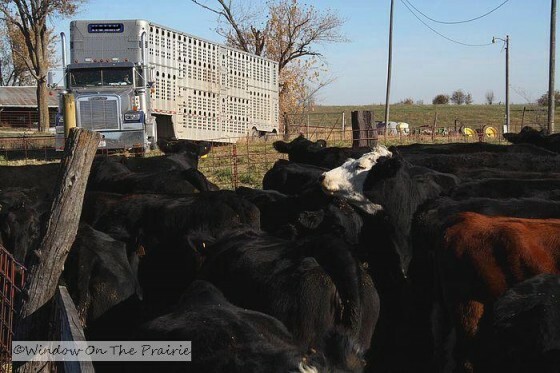 When fully loaded, all the cattle are evenly distributed throughout the trailer. 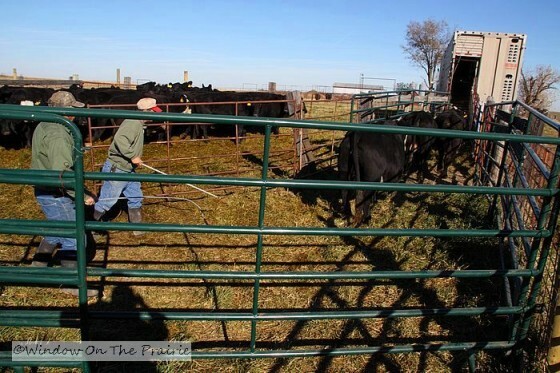 First the cows are loaded a few at a time. After each group goes up the chute, the driver follows them in to encourage them along. “Keep going, keep going” or “get up in there with your sisters”. As each compartment fills, the truck driver closes that door, and opens the door to the next compartment. 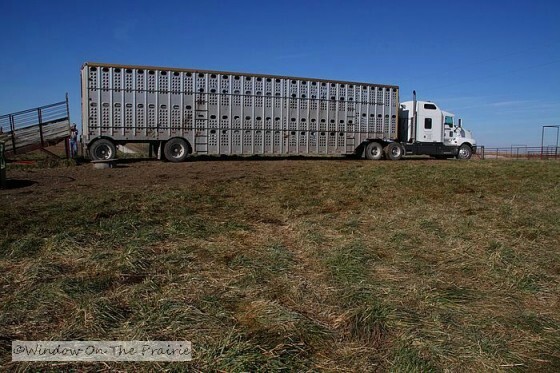 and the second truck backed into position at the chute. 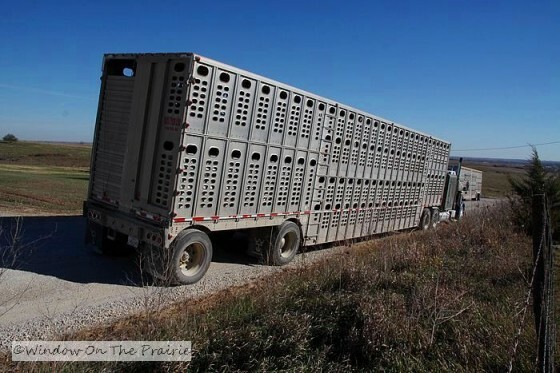 The rest of the cows and all the calves went on the 2nd trailer. 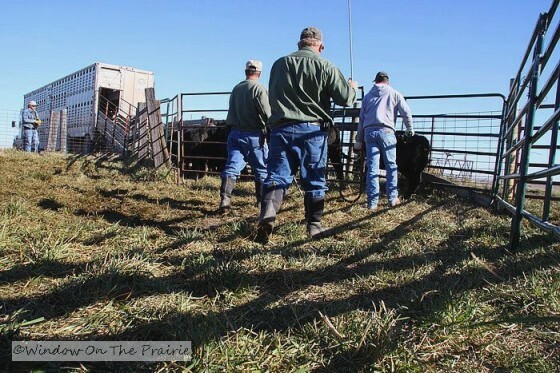 Here’s a play-by-play of a group of calves being loaded. and both trucks hit the road headed to our place. It’s kinda scary to watch as they all go down the road. I say a prayer that they will arrive home safe and sound. The empty pasture is deafeningly quiet too. Kinda sad. Another summer over, another year past. 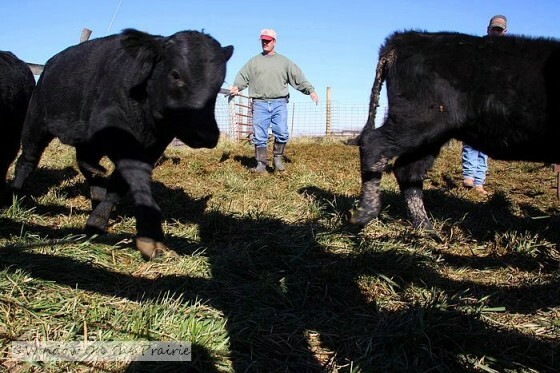 Soon, the calves will be weaned from their mamas and be sold. 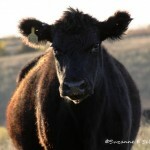 The cows will have new baby calves in March and April, and they will be brought back down to the summer pasture in May. 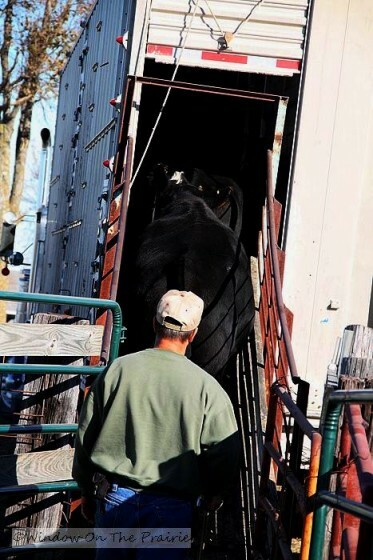 —–>UP NEXT: The cows and calves arrive home, are unloaded from the trucks, and then settle down from their stressful day. Yeah, go figure. Must be an interesting way to earn a paycheck. Wow! 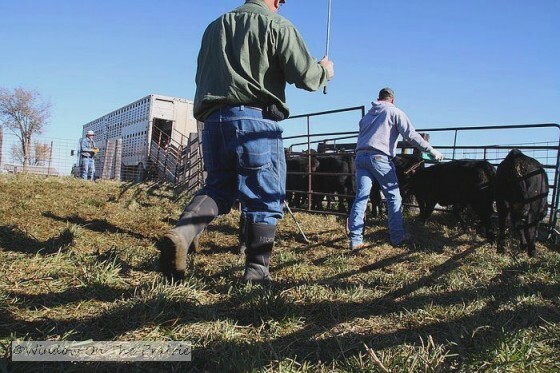 This is totally different from what I had envision of a roundup and moving cattle. Very interesting. Neat! 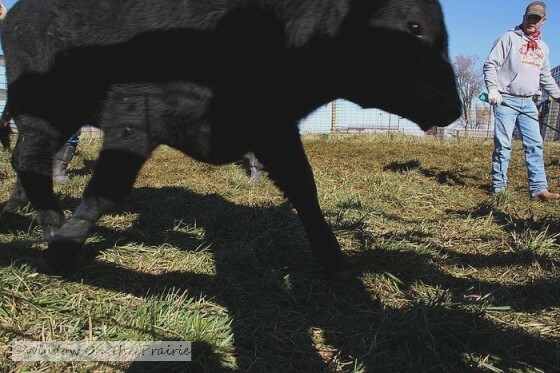 And the calves are just so cute! Aren’t they? 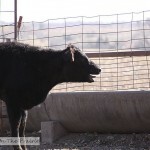 More calf pics tomorrow. What a job well done! I’m sure it’s comforting to find them all back close to home for the winter. Absolutely. One less think to think about. They seem to be a docile lot. Good for you. Most of them are pretty good. 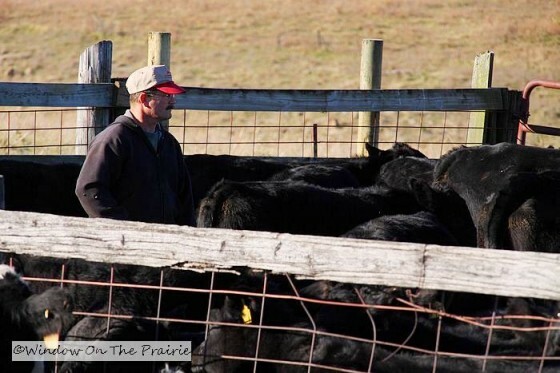 We cull the mean crazy ones, and when we handle the cattle, we try to keep them as calm as possible. Harland and his brother are pros. They’ve been doing this all their lives. 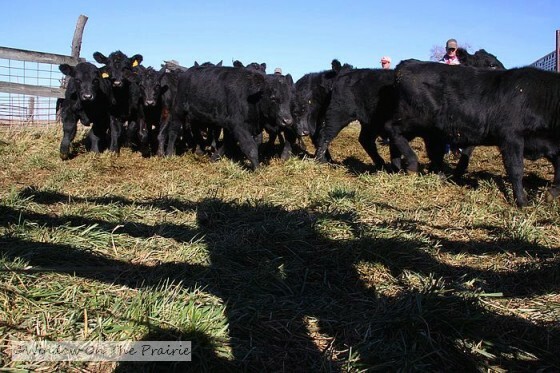 farm with 10 to 12 milk cows – LOL. 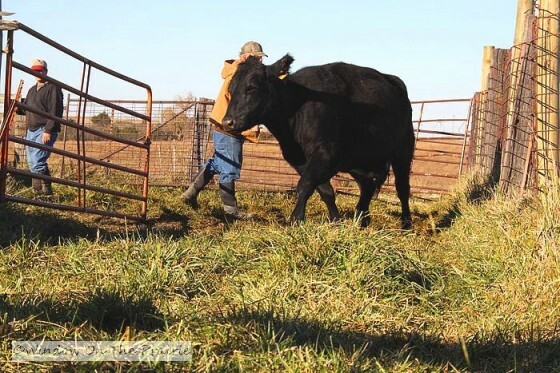 The land has been in the family since Harland’s grandfather’s time. It’s a special place. You cracked me up about what the guys were talking about…Deparate Housewives and such….hilarious! So really they were probably saying stuff like…”did you see that new 2011 Dodge truck…oh yeah, it’s sweet” or maybe “You goin’ huntin’ next week, cause I got a new bow, she’s a beaut!” Who knows…but it’s gotta be something along those lines. Anyhow, thanks for this post. 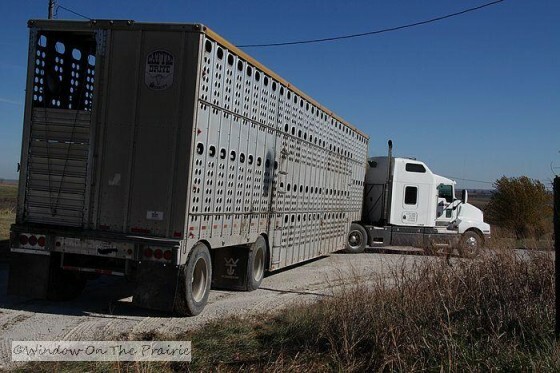 I didn’t know that sometimes cows and bulls and calves were transported from pasture to pasture in a big tractor trailer truck. I guess I always just assumed they were herded in on horseback. I always get an education on your blog! 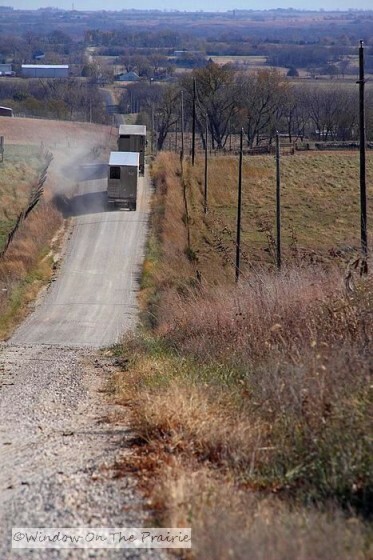 Yep, cattle are moved short distances either from horseback or 4-wheeler, and for long distances by tractor trailer. And I’m sure whatever the guys were talking about it wasn’t anything of interest to us women.